The summer holidays are upon us, and we expect lots of you are looking forward to jetting off to all sorts of beautiful destinations over the coming weeks. Just one thing before you go: remember to get your lotto subscription! Lottery players tend to enter their favourite lotteries week-in-week out, playing in every single draw to boost their overall chance of a big win. But players do miss a draw here-and-there – especially when they go away on holiday. What if that one week just so happened to be when your lucky numbers get called? It doesn’t bear thinking of. Thankfully, PlayEuroLotto has a solution that means lotto players never need come home from their holidays to discover they missed out on the one draw where their numbers got called – instead, they might even be able to come home from holiday and find out they’ve won big! Securing entry into your favourite lotteries while you’re away is easy – just Subscribe before you go. Click “Add to cart” and proceed to payment. And that’s it! 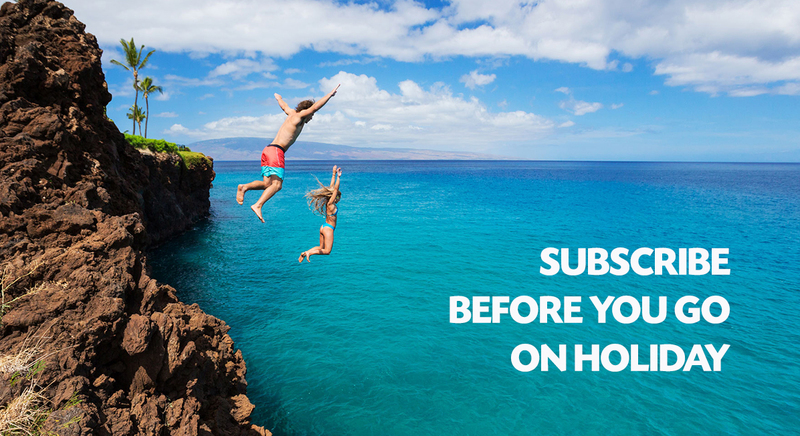 You can cancel your subscription at any time, so there’s no need to worry about what happens after you get back from your holiday. Besides, you may have won a life-changing jackpot by then ;)!